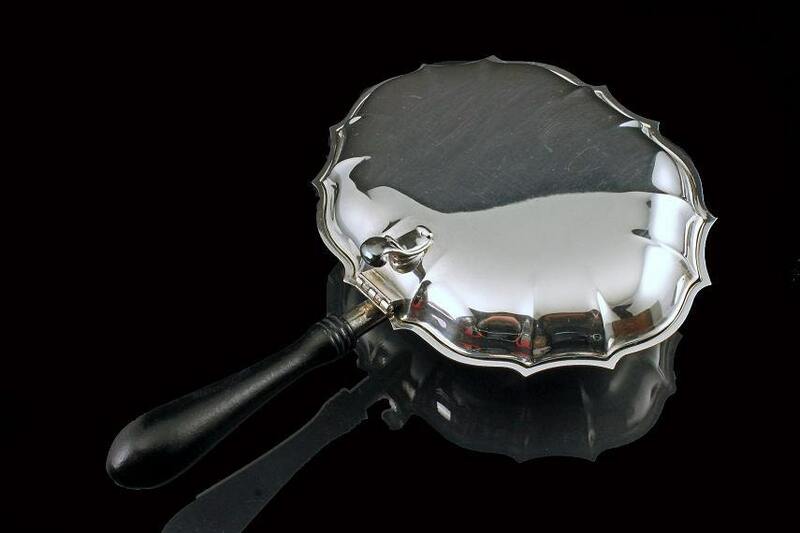 A beautiful International Silver Plate Co. silent butler in the Chippendale pattern. 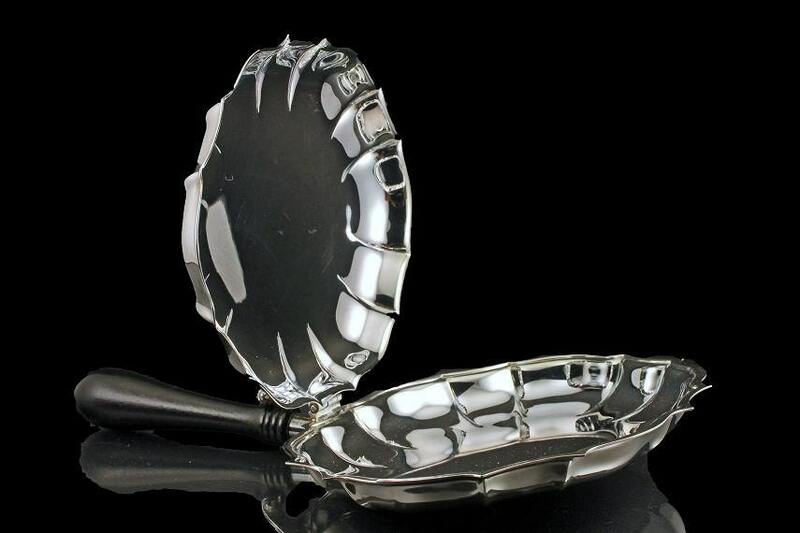 It has a silver plated body and a black wooden handle. 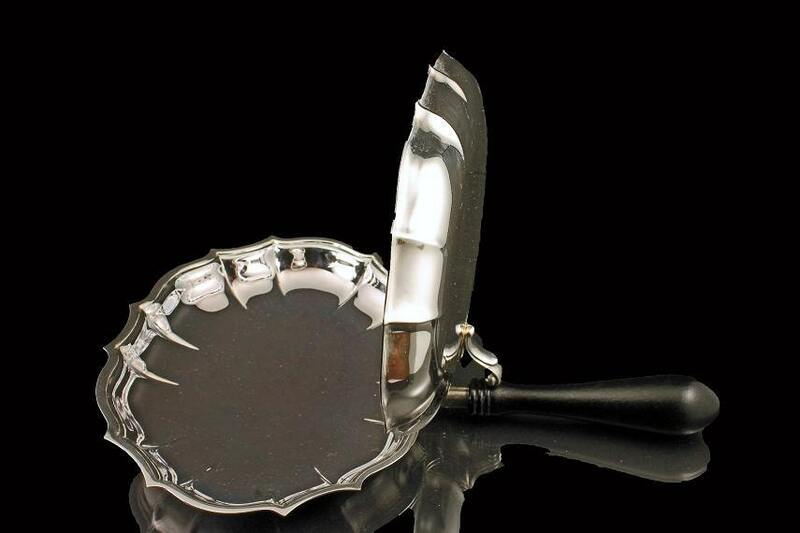 A silent butler is a container with a handle and a hinged cover, used for collecting table crumbs or emptying ashtrays. They were more common in earlier times and now they are now often considered collector's items for their retro appeal. 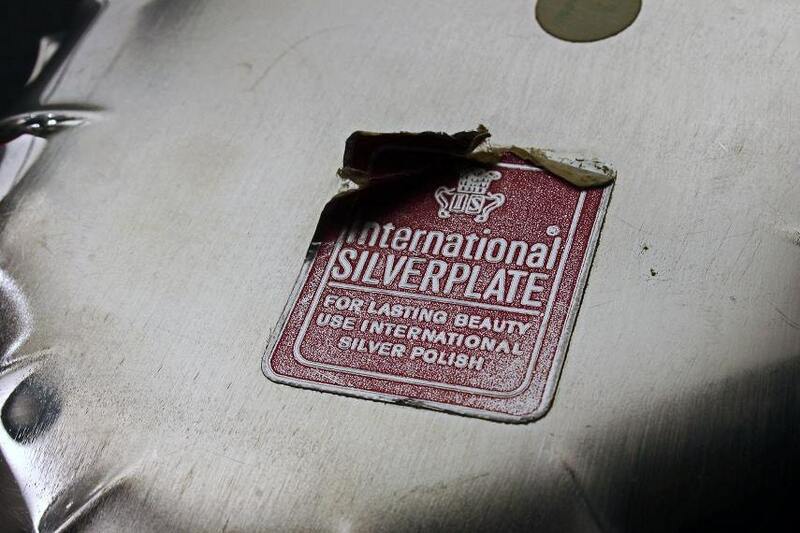 The International Silver Co was incorporated in 1898. It is still in existence today. This is a vintage silent butler but it is in very good condition. It shows the signs of being used and there is scuffing on the bottom. It still has its original tag on the bottom. 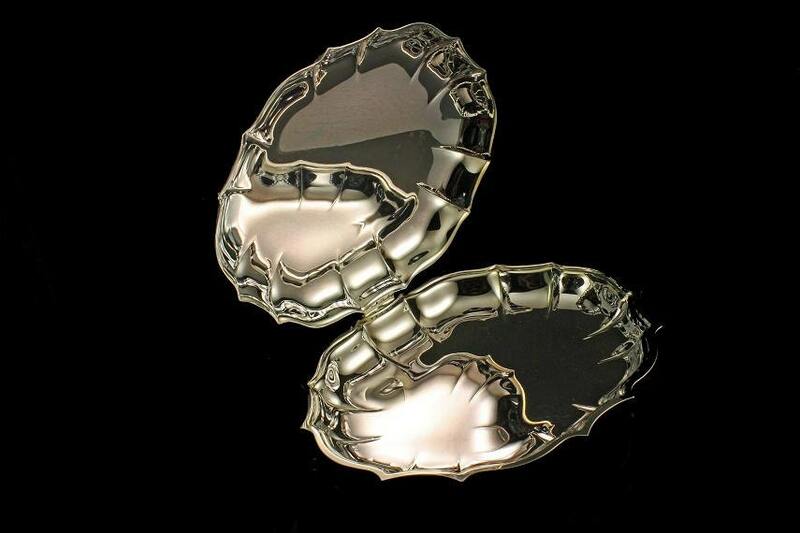 This is a great item and a wonderful gift for the silver collector.